A debate has begun over a recent report claiming that sales of e-cigarettes have dropped substantially over the past year, as reported by MarketWatch.com. Sales of electronic cigarettes, as measured by sales at convenience stores, have dropped nearly 20% over the first six months of 2014. One industry analyst at Cowen & Co., Vivian Azer, claims the drop has occurred because consumers aren’t satisfied with existing e-cigs on the market. Azer says smokers are likely to try the devices, but aren’t happy enough with the experience to commit to vaping long-term. But another analyst, this one at Wells Fargo, thinks the numbers aren’t reflective of real trends. Bonie Herzog thinks the lower sales at convenience stores can be explained by several other factors. 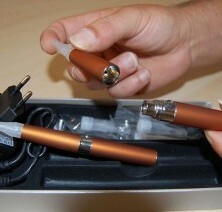 They include a greater market penetration of starter kits (which would mean lower sales of electronic cigarettes as vapers only would need to purchase replacement cartridges), and a shift in the market toward higher-end e-cigarette products such as mods and vaporizers which aren’t sold in convenience stores. First Hand Smoke also notes that online sales aren’t tracked by the convenience store data, which would also skew any effort to read a major decline in overall sales into this limited information.